This month is so much fun to be in the classroom! Reading and writing go hand in hand. Writing is SO important in kindergarten, as it is in all grades. 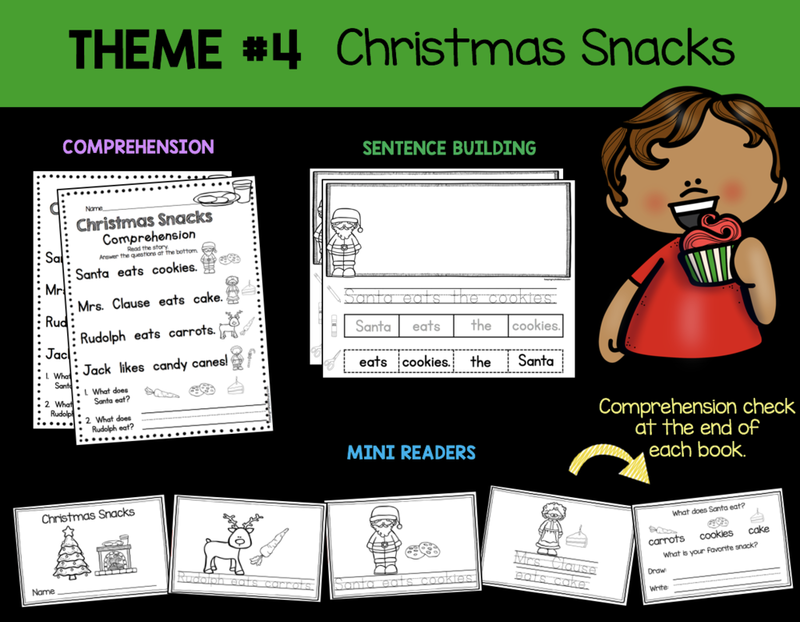 Each week I use three resources as shown above: mini book, comprehension passage and sentence building. The theme just changes each week! Shown above in the Santa theme. Students appreciate and look forward to the consistency and predictability of these resources, and you’ll love that all the planning and prep work are done for you! 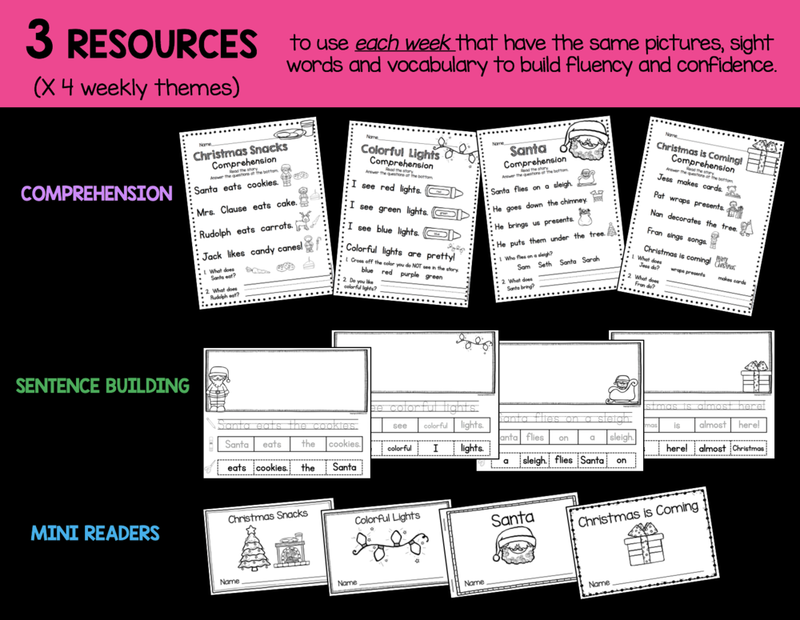 Being exposed to the same theme for an entire week helps with vocabulary, fluency, comprehension and confidence! These resources can be implemented in so many ways - whole group, small groups, literacy/writing centers, seat work, intervention, and more! Try the mini reader from this theme for FREE! I copy this “Write it on your own” page on the back and students can then write the sentence two times on their own! Perfect extension activity for your higher students or fast finishers. Each mini reader has a comprehension check on the last page. 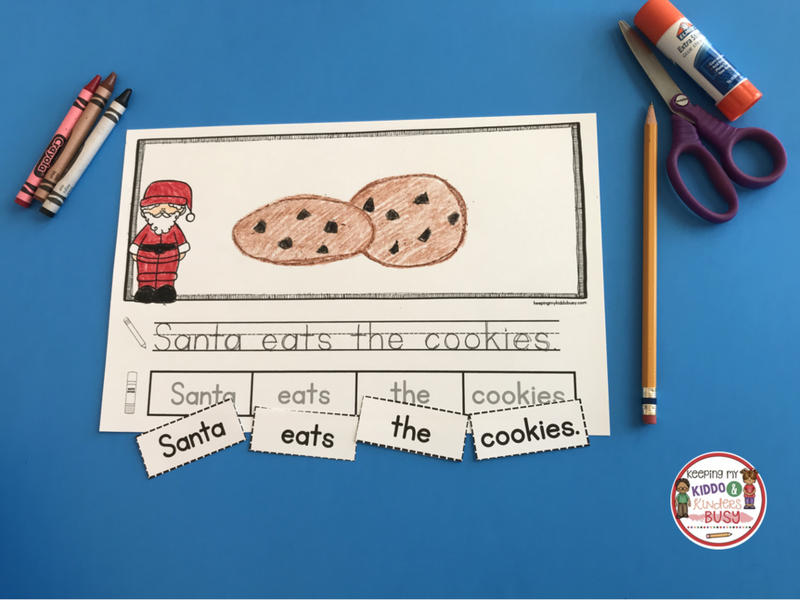 Print the Santa book for FREE! I hope you love this FREEBIE! 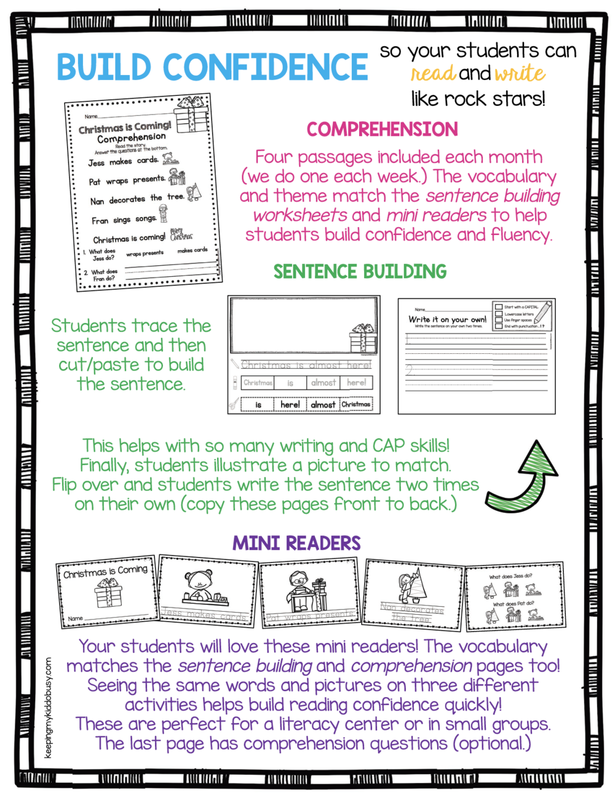 The complete kit also comes with an incentive tool to get kids excited about becoming Rock Star readers and writers! Ready to get started with this pack for the month of December?